It’s January and you may have already felt the cold effects of winter weather. At Filters Fast we’d like to see the winter weather where you live. Whether it’s snow or rain or sleet, or simply a nice outdoor photo in your neighborhood, town, or city, we’d love for you to share it with us. That’s why we’re hosting the Best Winter Weather Photo Contest!� Post a picture of that best represents the winter weather in your area on our� Facebook wall between today, Friday January 6 and Friday January 13.� The photo with the most “Likes” at the end of the week wins the contest.� The winner of the contest receives a free� Crane Oscillating Tower Space Heater (a $92 value). NO PURCHASE NECESSARY TO ENTER. 2. Post your best winter weather or outdoor photo on our� wall or e-mail your photo directly to [email protected] and we will post it on the wall ourselves. Voting and submissions begin today, Friday January 6, and ends at 3pm on Friday January 13.� The photo with the most “Likes” at the end of the week wins the contest. 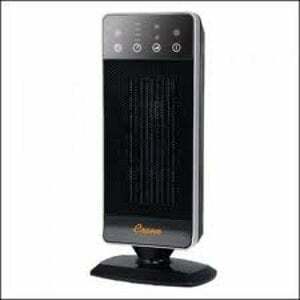 The� Crane Oscillating Tower Space Heater (EE-6353) is an oscillating ceramic space heater with 2 heat settings for maximum comfort. Stay warm during the winter months with this sleekly designed and well crafted ceramic heater.